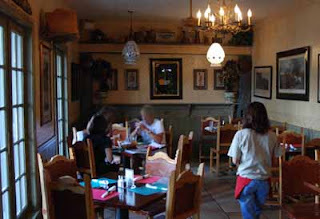 Marias is a sleeper of a Mexican restaurant, especially to many "gringos", oblivious to the tasty authentic Mexican food readily available in SW Florida. Maria and Jose Romero started this "mothership" restaurant in 1992, 25 years ago in what housed "The Pig and Whistle Pub" on Old US 41 in Bonita Springs, a block north of Everglades Wonder Gardens. Maria's has quirkily maintained the same framed British hunt scenes, stained glass windows and other Pub paraphernalia, to gaze down on diners and food. 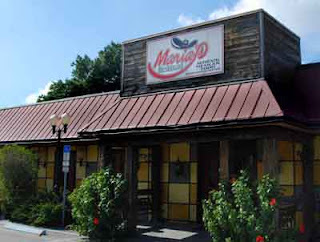 To Mexican cuisine aficionados in the area, Marias has long been the standard by which other Mexican restaurant are held. 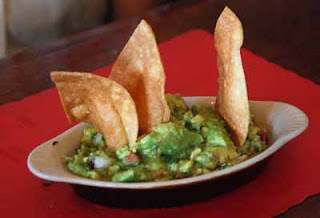 Those whose impressions of Mexican Cuisine have been formed by the Americanized, mediocre or unremarkable food served at Moe's, Tijuana Flats, Taco Bell, Flaco's, Cilantro Tamale, etc., should try Maria's, and finally appreciate the lively taste of authentic Mexican regional cuisines. 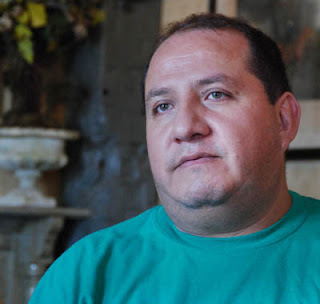 Jose Romero hails from both the Michoacán and Mexico City regions, the latest in a family line of cooks, with his sons likely to follow in his footsteps. He personally grows many of the herbs. Jose serves regional Mexican dishes such as Campeche (Yucatean) style Maria's Seafood Soup, an authentic Lamb Stew, and other classic regional dishes. My lunch companions included a 10th generation native Floridian (a "Cracker"), a Brit (who keyed right into being in a British Pub), a good-hearted local politician, and a valiantly adventuresome food writer. Lunch started with a basket of crisp freshly fried chips, tomato, onion and cilantro salsa, and a mildly spiced house special dip. We flipped over the rich, hearty Maria's Seafood soup ($15), seasoned spicy yet not too peppery hot, accented by cilantro and epazote, a unique herb not typically found in quasi-Mexican chain restaurants. 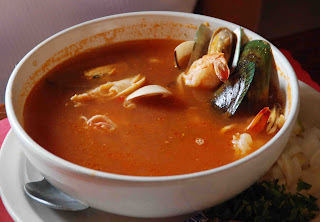 The soup contained generous amounts of meaty mussels, shrimp, oysters, octopus and other fresh seafood. No "mystery" fish or Sysco "surimi" processed fish protein filler served here! Our favorite dish was the house specialty, the Queso Carne ($12); a mix of pan fried spicy pork, beef or chicken, covered with onions and peppers, topped with Mexican white cheese, with warm, homemade fresh corn tortillas on the side. WOW!! Gringos who know no better than to settle for chains like TAco Bell and Moes'- wake up and taste life's spices! Service was attentive as the large Burrito Platter ($10) arrived, with soft flour tortillas filled with refried beans, Mexican Queso blanco, and choice of shredded chicken, beef or homemade Mexican sausage. 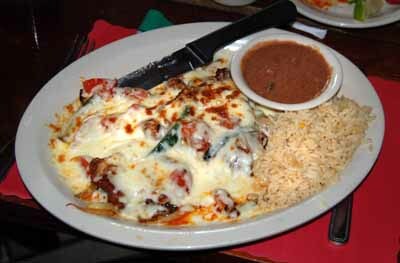 The last entree, the Enchiladas Suizas ($9), was still better than that at the chains; we just missed the bold spicing of the prior entrees. In retrospect, that milder dish should have been sampled first. All of the portions were very generous. The next table enjoyed their guacamole and the Horchada- a milk based cold drink with blenderized rice, toasted cinammon, and sugar. 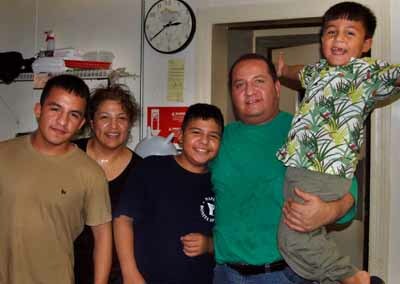 Afterwards, we got to meet Chef Jose, wife Maria, and their three sons, and talk about the Mexican regional specialties that have helped make their family run restaurant the standard for great Mexican freshness, taste and authenticity for 25 years. 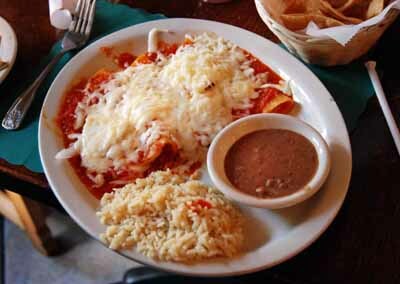 For authentic Mexican recipes, select cookbooks by Diana Kennedy, Zarela Martinez, Nancy Zaslevsky, Rick Bayless, etc. Thanks for the great review. We live in Bonita and love Maria's! Everyone is friendly and the food is great. A true family business. Great pics on your post! Thanks for including your favorite dishes and photos of the family! This article is very informative...Bonita springs is a great vocational place.You can enjoy it in every way. This place is famous for satisfying its customers with its new experiments in food items so never miss them or hesitate in trying after all you are on vacation.